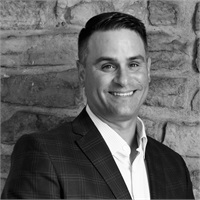 Mark Modzeleski is a Financial Advisor who started Legacy Wealth Advisors of NY, where his primary role is working with small businesses and families, with a particular interest in Agriculture. Mark was born in Westchester County, NY and raised in the southwest corner of Connecticut. He earned a BA in Psychology from Gordon College in 1995. Mark began his career at a small firm in Boston, MA where he worked with individuals and groups teaching them how to become more effective communicators and team members through outdoor adventure and education. In 1998, Mark and his family moved to Central NY. Mark worked for the family milk trucking business where he connected with the Ag industry. He still holds his Class A CDL (Commercial Driver’s License). In 1999 Mark made the decision to follow his passion for helping families and small businesses by becoming a financial advisor with New England Financial. He left the family milk trucking business to pursue a career in supporting others. Over the years Mark was promoted to Senior Managing Associate, managed a team of 20+ advisors. He also drove the firm's Case Design Unit, helping advisors design specific solutions to help families and business achieve their goals. In addition, He also proudly implemented a formal financial planning program. More recently Mark's focus is helping his immediate clients make sound financial, estate, and private wealth management decisions. He is a Partner at The Voss Group as well as the founder of Legacy Wealth Advisors of NY. This has allowed him to apply his industry knowledge and passions to his long-term interest in agriculture and small business. In addition, he continues to focus on planning for individuals in the areas of retirement planning, wealth accumulation, risk management and wealth transfer. Mark’s primary areas of expertise lie in sustainable business transfer, insurance and wealth management along with qualified and non-qualified plan development. Mark has been awarded several production awards over years, rewarding his commitment to his clients. He has spoken at several local, regional and national conferences and is an accomplished speaker. Mark is a member of the National Association of Insurance and Financial Advisors (NAIFA) and has been named an American College moderator. He has committed time to NY chapter of the FFA. He is a member of NY Farm Bureau and NEDPA (Northeast Dairy Producer Association). Mark holds several board positions including the NYS Agricultural Society, the NYS Agricultural Society Foundation, the NY Animal Agricultural Coalition (NYAAC) and his local golf and country club. He has earned his Certified Funds Specialist (CFS) designation, Certified Long Term Care (CLTC) designation, his Accredited Investment Fiduciary designation (AIF), and he has earned the Certified Family Business Specialist (CFBS) certification. He is a graduate of the Cornell LEADNY Class 15 (The Empire State Food and Agricultural Leadership Institute). His desire to further his education again shows his commitments those he serves. Mark and his wife Amy reside in Cazenovia, NY and have two boys. Mark enjoys travel, golf, shooting, skiing, soccer and other outdoor activities with his family.